Not sure calling animal print a trend is doing this pattern any justice. After all the spotty pattern with seemingly perennial appeal has not left the runway since it made its debut decades ago. This year is no different and Aventura Mall is chuck full of the spotted trend. To keep things fresh, designers reimagined their favorite animal prints in punched-up versions; anything from saturated neutrals to deep reds and electric greens were fair game: Michael Kors led the charge with loud, unexpected pattern combinations with a touch of ‘50s decorum. 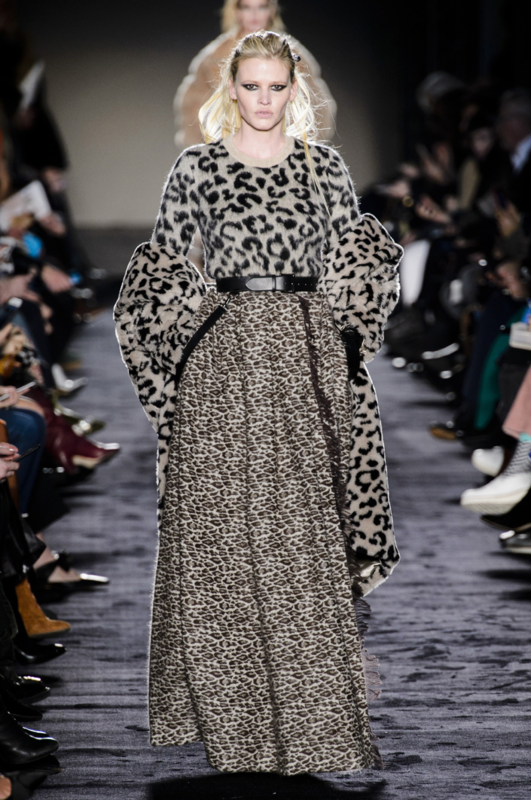 From mixing of leopard with stripes and flowers, nothing was subtle about his animal instinct. Despite the exuberance, the cuts were still sleek, the looks still inevitably polished. Diane Von Furstenberg, of course, offered a playful yet powerful array of neon leopard on feminine pieces (in true DVF fashion). At Adam Lippes, there was more insouciant ‘80s zebra. Max Mara mixed all kinds of neutrals, while at Carolina Herrera Wes Gordon appeared to humorously include the pattern on house’s signature lines. Zadig & Voltaire’s girl was her usual cool Parisian self and turned the print into a rock and roll statement. Suffice to say, the designers proved their point. Bold animal print is in at the best mall in Miami.